Important Made in USA Origin Disclaimer: For certain items sold by Walmart on Walmart.com, the displayed country of origin information may not be accurate or consistent with manufacturer information. For updated, accurate country of origin data, it is recommended that you rely on product packaging or manufacturer information. 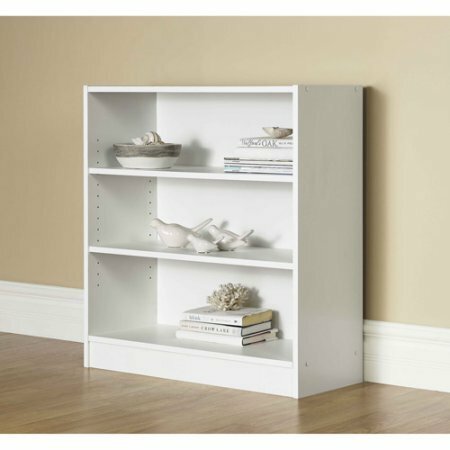 The Orion Wide 3-Shelf Bookcase features one fixed shelf and two adjustable shelves. Its classic finish will complement a variety of home decors.